Baldwin Transportation began in the early 1930s on West Broadway in Manhattan. They were located in Manhattan until 1943 when they moved to this location on St. Anns Avenue in the South Bronx. In 1955 the New York Times, 17 Aug. 1955, pg. 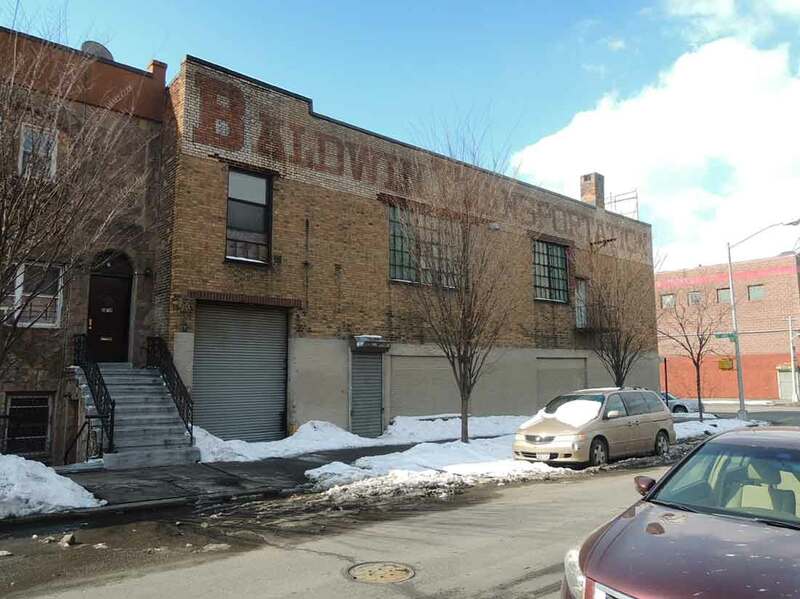 44, announced, "The Baldwin Transportation Company has purchased the two-story garage-type building at 132 St. Ann's Avenue, the Bronx, from the Carolyn Laundry Corporation and will use it in connection with its trucking business." Baldwin Transportation, also known as Baldwin Warehouse Corp., continued at this location and several others in the Bronx until around 1992/93. Their last listings in the Bronx telephone directory was in 1997 when they were located on East 149th St. and Leggett Ave.
President of Baldwin in 1940 was Lester Palmer Marasco (1904-1987). He was born in Manhattan 21 February 1904, the son of an emigrant barber from Italy, Luigi "Louis" Marasco (1876-1952), and Luigi's wife, Josephine Palmer (1876-1947). He was listed in Polk's 1925 New York City Directory as a stenographer at Broadway Motor Truck Corp.; in the 1930 U. S. Census as a truck salesman; and in Polk 1933-34 as a salesman living at 615 Fort Washington Ave., Manhattan. Lester Marasco died in Stamford, Connecticut, 16 Sept. 1987, age 83. A death notice in the New York Times, 20 Sept. 1987, pg. 60, read, "Marasco - Lester P., of Del Ray Beach, Florida and Chappaqua, N. Y., on September 16, 1987, husband of Barbara King Marasco, father of Alan L. Marasco and Dr. Joan Hardenbergh, grandfather of seven. Memorial service 2 PM, Saturday, September 26, 1987, Congregational Church of Chappaqua. Interment was private in Kensico Cemetery. In lieu of flowers, contributions in his memory may be made to the Kidney Fund of New York and New Jersey, 432 Park Ave, New York, NY."